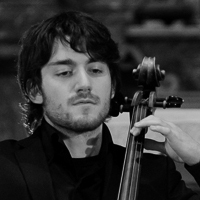 Born in Rome, attending the last year of High School. 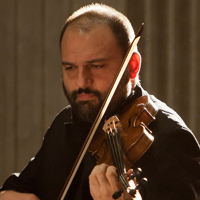 Begins youngster the study of the violin with Paolo Piomboni. 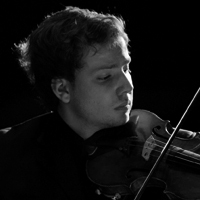 Student at the Conservatory of S. Cecilia in Rome in the class of Maestro Pasquale Pellegrino, is currently frequenting the eighth year of the course. 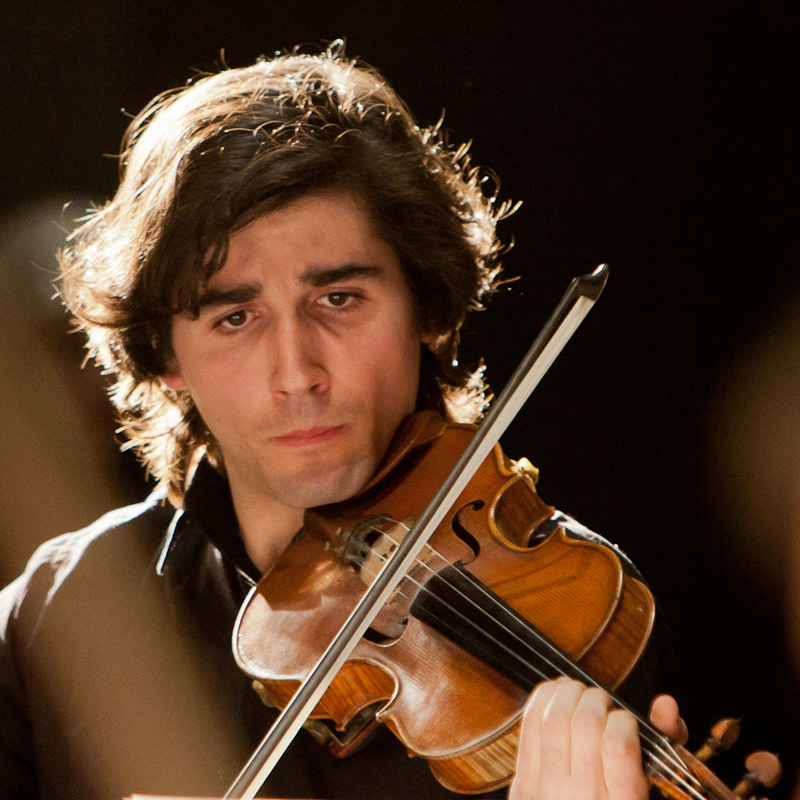 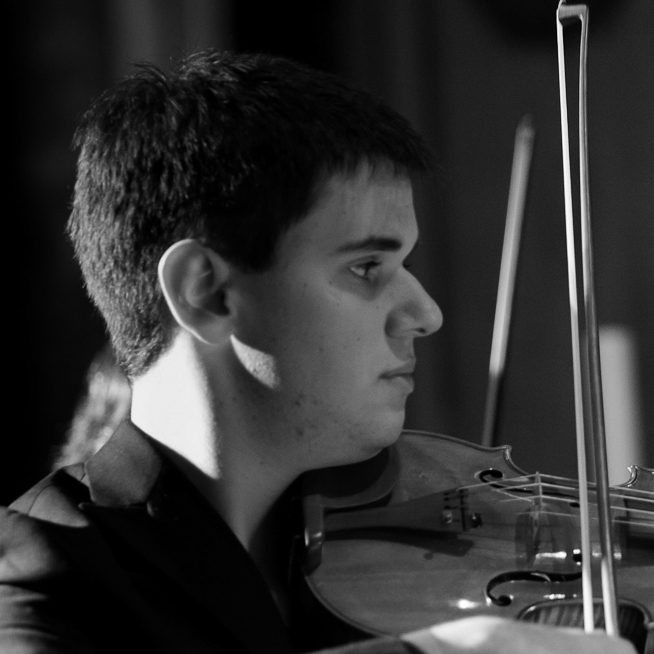 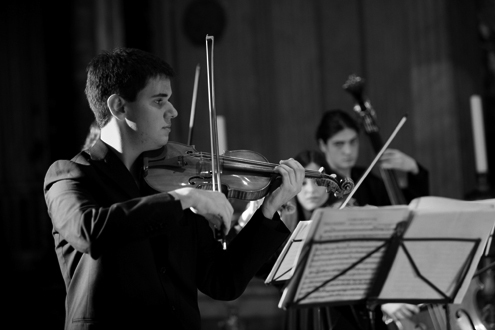 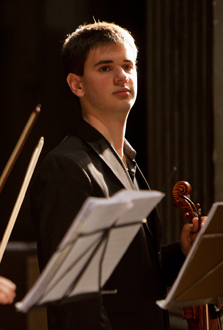 He was a member from 2006 to 2009 of JuniOrchestra, the Youth Orchestra of the Accademia Nazionale di Santa Cecilia as First Viola under the guidance of the Masters Simone Genuini and Antonio Pantaneschi, participating in various events and concerts among which the concerts at the Basilica of Santa Croce in Gerusalemme in the presence of the Mayor Veltroni and the Quirinale in the presence the Chief of State Giorgio Napolitano and Senator Rita Levi Montalcini, the concerts in Val di Sella on the invitation of Maestro Mario Brunello, the Christmas Concert in the House of deputies, the summer concerts in Ischia on the occasion of the Festival of Youth Orchestras organized by the Walton Foundation, among the Family Concerts of the National Academy of S. Cecilia the execution of the musical tale "Peter and the Wolf" directed by Maestro Franco Petracchi and Valeria Marini as narrator, the participation in the Ravello Festival in the summers of 2009 and 2011. 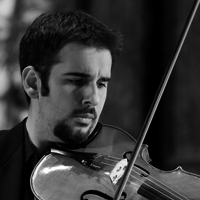 Since 2010 to date, always covering the same role, he passed the auditions to be part of JuniOrchestra Advanced led by Maestro Carlo Rizzari, that saw in 2010 between the various concerts the participation in the season, "Time Orchestra" Orchestra da Camera di Mantova, in 2011 at a concert for the Policlinico Umberto I, on the occasion of the celebrations of the unification of Italy, at the "Night Tricolore" on the Piazza del Campidoglio, a concert with the Choir of the Santa Cecilia conducted by Maestro Ciro Visco in the Vatican Basilica of St. Peter for the celebration of 60 years in the priesthood of His Holiness Benedict XVI. Take part in the activities of the "Friends of Music" Fedele Fenaroli of Lanciano in the International Youth Symphony Orchestra, collaborate with the Orchestra International of Rome conducted by Antonio Pantaneschi, with the FAO Philharmonic Orchestra and the Orchestra Papillon conducted by Maestro Simone Genuini with which was invited in July 2011 to a series of concerts during the IX Festival International Youth Choir and Orchestra in the Golden Hall of the Mozarteum in Mirabellgarden and Salzburg Cathedral. 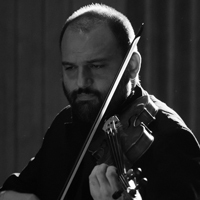 He is a founding member and 'Spalla dei Secondi Violini' in the baroque strings ensemble "Archi di Roma" in collaboration with Maestro Riccardo Minasi. In May 2009 he was called, representing the JuniOrchestra, to participate in the performance of Beethoven's Ninth Symphony in the demonstrations against the decree Bondi together with the Orchestra of the Accademia Nazionale di Santa Cecilia conducted by Antonio Pappano in the Sala Santa Cecilia. 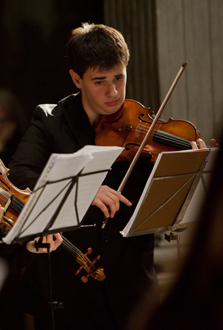 for Robert F. Kennedy in the Academic Hall, and in May 2010 to two concerts, one at the Circus Maximum during the Prayer Vigil and one in St. Peter's Square during the Holy Mass celebrated by His Holiness Benedict XVI, headed by Monsignor Marco Frisina, as part of events for the beatification of John Paul II. In October 2011 he passed the audition and was admitted to the Academy International of Imola course of Violin Triennial organized by International Piano Academy "Encounters with the Master" held by Master Oleksandr Semchuk and Ksenya Milyavskaya.